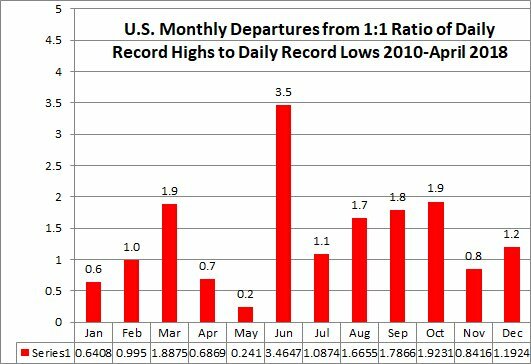 That 37 month streak of more daily record highs than lows was broken in January. 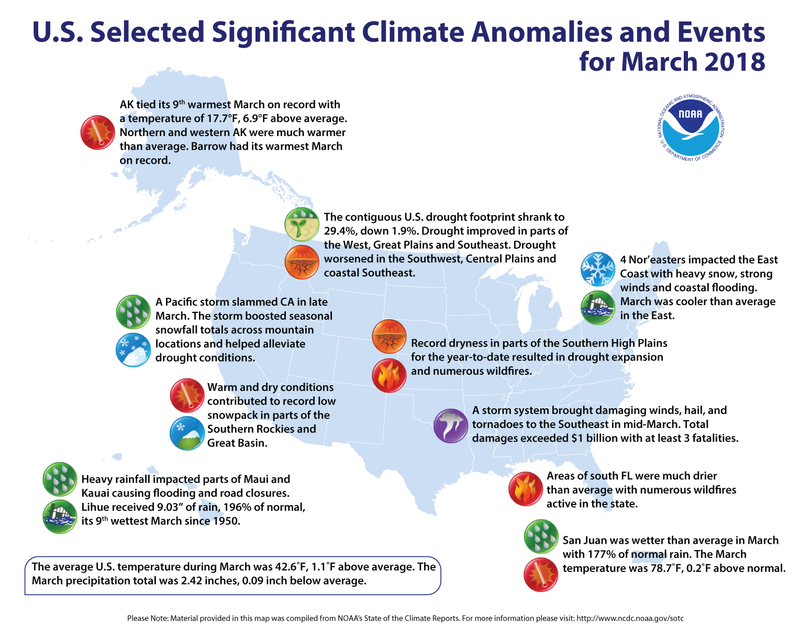 March 2018 got ranked at a mediocre 76, or the 49th warmest March on record since 1895 for the CONUS. This month, relatively speaking has started off about as anomalously cold as November 2014. We shall see if the trend continues as we go through the spring into the summer. Vortex is already established in winter and spring. Not established in fall. Early disintigration of the vortex affects spring temps more than temps at any other time of year. Causes Arctic outflow, cooler spring temps? 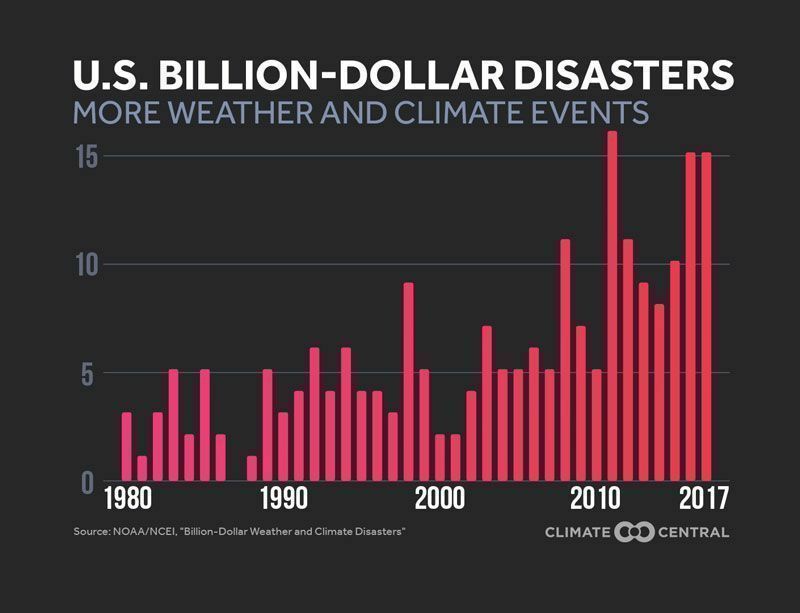 I believe we are beginning to see a start of a longer term trend that will increasingly displace polar air masses as the latent ocean heat takes hold of the Arctic Ocean and as Greenland melt impacts traditional ocean/atmosphere heat exchange in the North Atlantic. It’s a speculative thought. But it’s also worth noting that March through May appears to be a time of instability and change in the traditional seasonal transition period. Polar amplification interactions appear to play a major role. -St. Cloud set a record cold high temperature of 21° today. 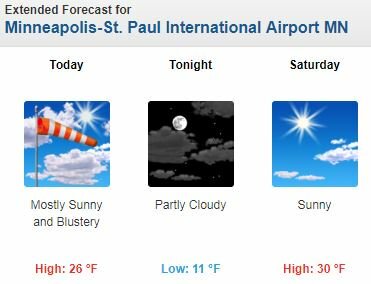 -The Twin Cities tied the record cold high of 26°. -Eau Claire was one degree shy of the record cold high at 30°.